I’ve been riding a bike since I was a little kid. Back then I could barely touch the pedals and my marbles took a beating from time to time but I loved the freedom that a bicycle gave me. Over the years I progressed from a cruiser bike delivering newspapers to racing bmx to riding road bikes. The love of the bike never changed, just the bike. At a point in time I spent 10+years as a bike mechanic becoming totally immersed in bikes and the community. Now I am focusing on trail building, enduro & Super D racing and enjoying time on the bike. 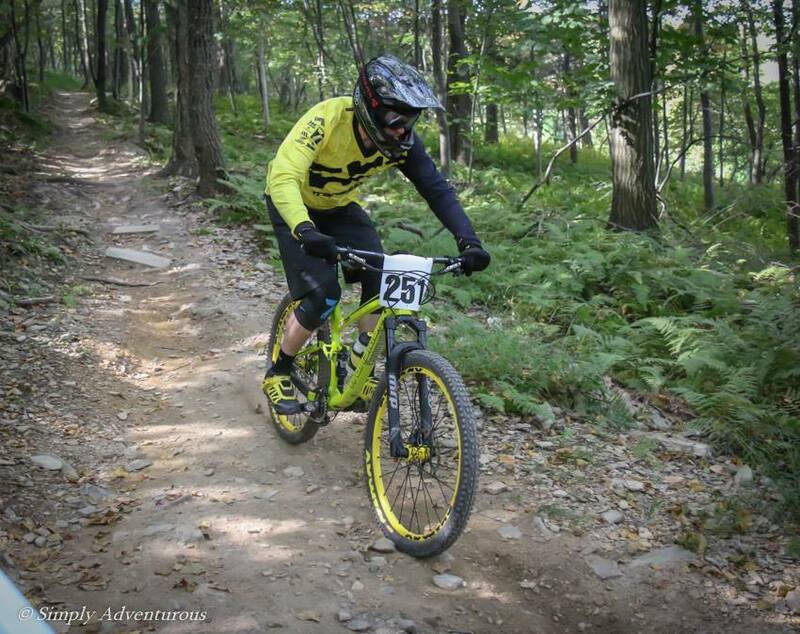 I’m very involved with and am passionate about mountain biking in the Mid-Atlantic Region and promote enduro racers and races through my website www.eastcoastenduro.com and a Facebook group that has over 1200 members and growing! 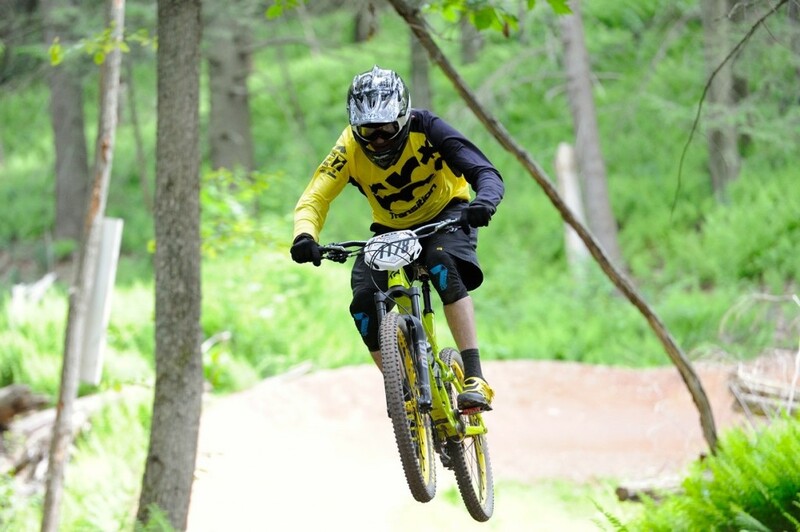 On course during practice of the 2015 Oktoberfest Super D at Blue Mountain Bike Park. I am also an advocate for more mountain bike access in my community. When I’m not training or racing, I volunteer my time creating, cleaning and maintaining my local and other New Jersey trails as the JORBA (www.jorba.org) rep for Atlantic County and put in over 250 volunteer hours in the last couple of years.